Are you a recent graduate in craft or design looking to kick-start your career? Harbourfront Centre’s Craft & Design Studio is now accepting applications for its Artist-in-Residence Programme. The Artist-in-Residence programme aims to assist recent grads establish professional careers. 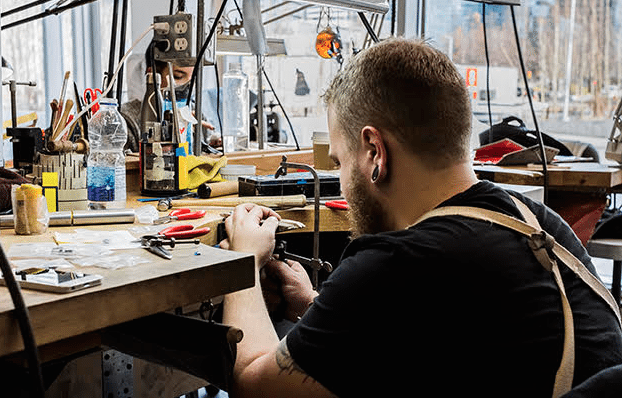 Applicants can choose between one-year and three-month residencies, which grants them 24-hour access to the studios and equipment to design and create. Artists-in-Residence will be matched with professional Artistic Advisers and a Business Advisory Committee to offer advice, critiques, and suggestions. Artists-in-Residence may also get a chance to feature their work in one of the many on-site venues. Opportunity to teach classes to the public.